The Agility Classes and Clubs take place in our outdoor field area. It is recommended before beginning agility to complete either the Puppy Training Course or Basic Manners Course as you need some solid, foundation, obedience training in place to work your dog off lead and to use basic commands. 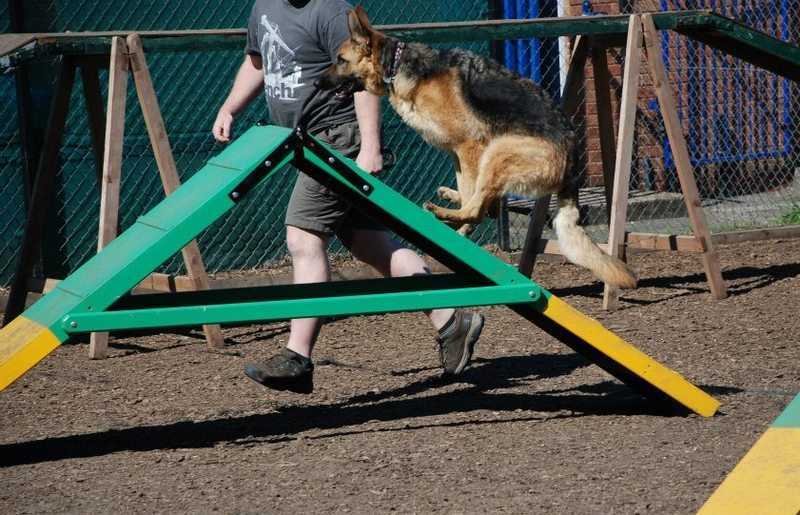 During the summer months we hold group sessions and 121 agility training, so dogs that can't be off lead around other dogs/people can enjoy the benefit of agility training. 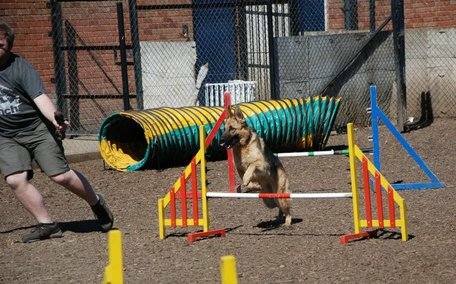 In the winter months we only offer 121 agility sessions for dogs of all ages, breeds and capabilities indoors. 121 Agility Sessions - these last for 30minutes and are private sessions, they consist of you, your dog and the instructor. If you want to share the session with another family/friends dog that is no problem. However more than 2 dogs mean you wont get very much out of the session. The cost is between £15- £19.50 per half hour session. Book Now as spaces fill quickly. 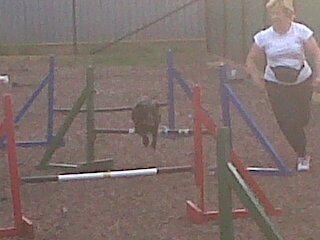 For any dog new to agility, this is the starting point. Our 6 Week course equips you and your dog with the skills and knowledge of how to tackle each individual piece of equipment and progress to completing a course. We spent alot of time on foundation training so as your dog improves and we work on more advanced techniques your training does not fall apart. We are different to other clubs as we provide continual training and tuition throughout your time at Oakwood, Once you are training with us you and your dog are progressed individually each week to tackle more difficult courses, quicker and more accurately. We do not just leave you to have a free for all session lilke many clubs may do. Come and watch a session before you join, no appointment needed. We train outdoors in the summer and indoors during winter so come dressed accordingly. Send your dog into an obstacle from any angle even 90 degrees? Learn to do flick flacks? Work out how to handle a full course with no instructor guidance? Cancellations less than 14 days before the class start date are non-refundable or transferable. Cancellations or non-attendance part way through the course are non-refundable or transferable in all circumstances. Cancellations over 14 days prior to the class start date are subject to a £5 administration fee. Upon booking the course, please make sure you are able to commit to the full duration of the course. For full terms and conditions, please click here.